Mercedes-Benz latest addition to the line-up now can call itself the Motor Trend SUV of the Year for 2017. That’s right. The GLC– a crossover that matches the E-Class platform with C-Class styling – has earned one of the industry’s most coveted awards, due to its sleek design, innovative tech and sporty performance. This isn’t the first time a Mercedes SUV has earned Motor Trend’s Golden Calipers. In 2007, the first-generation Mercedes GL-Class won, followed by the second-generation GL-Class in 2013. But even before Motor Trend had introduced its SUV of the Year category, Mercedes’ SUVs were earning praise from the automotive magazine. The 1998 ML-Class – Mercedes’ first crossover SUV – won Motor Trend Truck of the Year honors. Beating out 19 competitors, the Mercedes-Benz GLC was launched this year to replace the GLK. And in terms of design, the GLC looks, sounds and performs completely different. Both inside and out, the GLC features unmistakable Mercedes-Benz features. Outside, the GLC takes the premium crossover SUV in a new direction. It features a dramatically tapered roofline – that arches toward the rear and a sleeker more free-flowing than the boxy GLK. Plus, features like available adaptive LED headlamps and tail lamps, as well as Sport and AMG® styling packages offer you a chance to customize the exterior. Inside, the GLC carries itself like a C-Class sedan, with similar dash layouts and finish options. Leather seating – including available Nappa leather – and the natural wood finishes deliver the distinctive Mercedes’ aesthetic. Plus, the 2016 GLC shares a number of technology options with the C-Class. Upfront, an LCD display tops the center console. Available with COMAND® navigation, 6-month SiriusXM access, and app connectivity, the infotainment system delivers a premium connected experience. Additional tech: including a safety tech package with Blind Spot monitoring, DISTRONIC smart cruise control, and PARKTRONIC parking assistance is available on all models. Many of the Motor Trend judges said the design is what sold them on naming the GLC this year’s best SUV. Jason Cammisa, a judge and editor at Motor Trend, said that in the past, premium SUV’s have been based on sedans, but haven’t been as good as the sedan. With the GLC, Cammisa wrote, that’s different; the GLC is as good if not better than its inspirations. The base model GLC 300 and GLC 300 4MATIC® both feature a power in-line four-cylinder engine. The GLC’s 2.0L turbo four delivers 241 horsepower and 273 pound-feet of torque. A number of judges cited the GLC’s efficient, sporty engine, which feels more like a V6, as one of the reasons it was the year’s best. An AMG®-enhanced version is available as well – the AMG® GLC 43. Powered by a 3.0L V6, the GLC 43 delivers a bit more pop up thanks to a bi-turbo design. Another performance feature: The GLC is equipped with a 9G-TRONIC 9-speed automatic transmission. This ensures smooth gear shifting, helping the ride to be quieter. And available AIR BODY Suspension – which is Mercedes’ state-of-the-art hydraulic suspension system – increases the smoothness of the drive. Additional performance specs include a rear spoiler, a range of spoked aluminum alloy wheels to choose, and sport-tuned suspension. Want to take the year’s top SUV for a test drive? 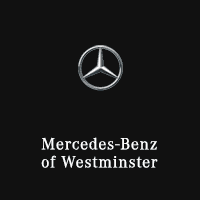 Visit Mercedes-Benz of Westminster today or schedule a test drive online. We carry the full range including the GLC 300, GLC 300 4MATIC®, and the AMG® GLC 43.